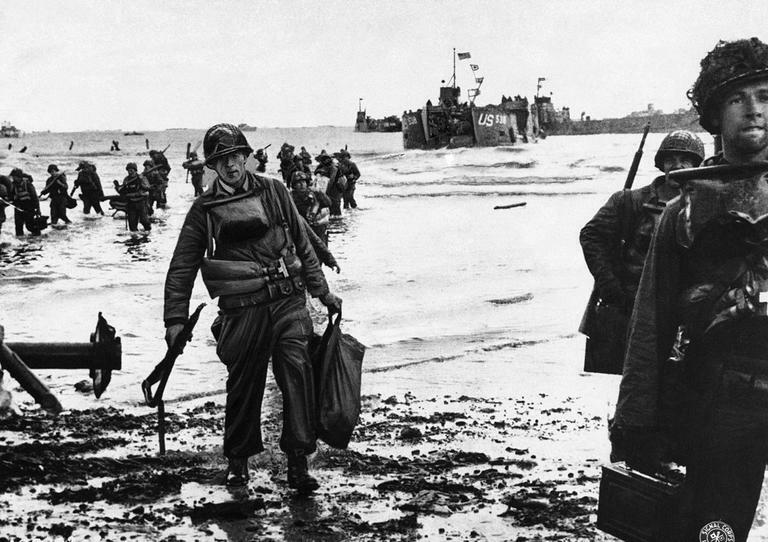 On June 6, 1944, D-Day, they had one of the most dangerous missions. They had to land on Omaha Beach and scramble under that heavy German machine gun fire and then scale the cliff, still under that heavy fire. Their job was to take out the big German guns at the top of the cliffs, guns that were trained on the Normandy beaches. And these American soldiers did just that. 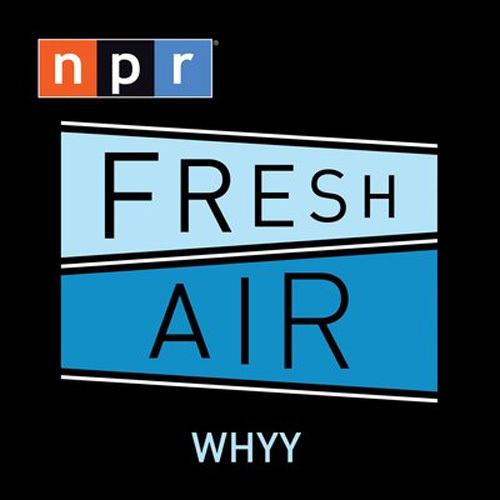 "These men are very very proud of their legacy," Patrick K. O'Donnell, author of "Dog Company: The Boys of Pointe du Hoc - The Rangers Who Accomplished D-Day's Toughest Mission And Led The Way Across Europe," told Here & Now's Robin Young. "They definitely think what they did against Germany was worth the cost. And every one of them has told me they'd do it again." “We stand on a lonely, windswept point on the northern shore of France. The air is soft, but forty years ago at this moment, the air was dense with smoke and the cries of men, and the air was filled with the crack of rifle fire and the roar of cannon. At dawn, on the morning of the sixth of June, 1944, two hundred and twenty-five Rangers jumped off the British landing craft and ran to the bottom of these cliffs. Their mission was one of the most difficult and daring of the invasion: to climb these sheer and desolate cliffs and take out the enemy guns. The Allies had been told that some of the mightiest of these guns were here and they would be trained on the beaches to stop the Allied advance. 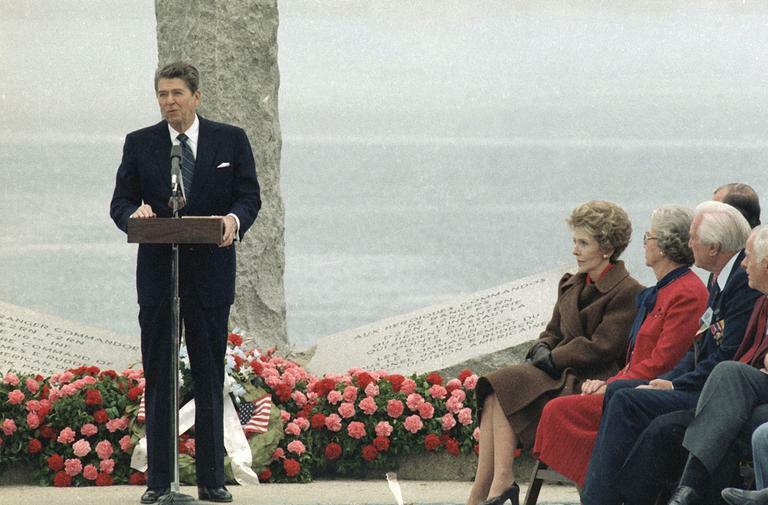 One of the finest speeches of the Cold War, Reagan’s words touched each of the veteran Rangers, now senior citizens, who stood shoulder to shoulder before him. Rays of sun gently lit their faces, now lined with age, as the President’s words warmed their hearts. 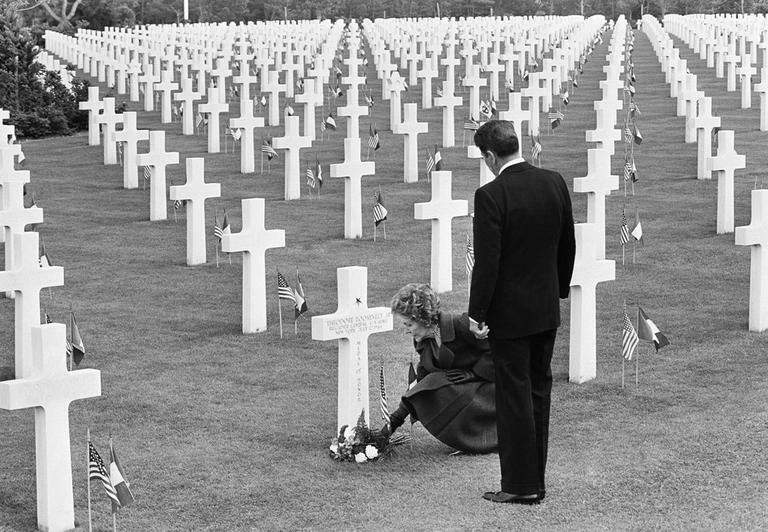 After President Reagan delivered his speech, he approached the line of veteran D-Day Rangers, each dressed in blue blazers with their distinctive, hard-won Ranger patches prominently displayed along with their combat infantry badges and numerous medals. Now, thanks to the President’s rousing words, America had finally recognized the extreme bravery and sacrifices of its WWII veterans, acknowledging them as an example of the sacrifices needed to win the Cold War. 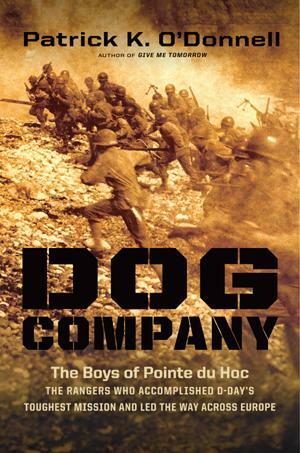 As the President and the audience thought back on the invasion of Normandy on D-Day, several of the Dog Company Rangers couldn’t help but reflect on their “longest day,” December 7, 1944. Patrick K. O'Donnell, author of "Dog Company"
“Fix bayonets!” barked Captain Otto Masny, the hulking Ranger officer. In a scene reminiscent of a World War I battle, both sides stared at each other across a no man’s land. Lomell gazed beyond snow-covered ground the size of a football field as his eyes looked up at the ominous mount towering in front of Dog Company. Germans had dug foxholes at the base of the hill and manned bunkers. The icy, flat expanse made an ideal killing field. Germans held their fingers poised on the triggers of their machine guns; with a rate of fire of up to 1,500 rounds per minute, the gunners stood ready to tear the Rangers’ bodies to pieces. A creeping artillery barrage and mortars slowly closed in on Dog Company. Like a tightly wound, coiled spring, tension within the Rangers’ ranks soon reached a breaking point. The acrid stench of cordite assaulted their nostrils. They knew the American artillery exploding in front of them would soon intersect with the German mortars dropping behind them. With Dog sandwiched between the ordnance from both forces, the falling fire would turn the company to hamburger meat within seconds. Shooting from the hip, the Rangers rushed through the snow-crusted field. “We stood up just like in a movie. It was like seeing a wave in the football field.... We went over the field as one,” remembered one Ranger. Mortars and artillery shells exploded next to the men as Dog Company charged into a hail of bullets. Rangers began falling, wounded and maimed in the intense fire. German machine guns opened up from behind a nearby bunker and other positions. Halfway across the field, the Ranger charge grew staggered, as some men ran faster than others. Lomell’s heart pounded and his adrenaline surged as he and the other men raced across the field toward Hill 400. Stunned by the sight of 120 seemingly crazy Americans screaming and yelling as they charged, some of the Germans abandoned their pillboxes and machine gun positions and ran for their lives up the hill. Excerpted from the book DOG COMPANY by Patrick K. O'Donnell. Copyright © 2012 by Patrick K. O'Donnell. Reprinted with permission of Da Capo Press. 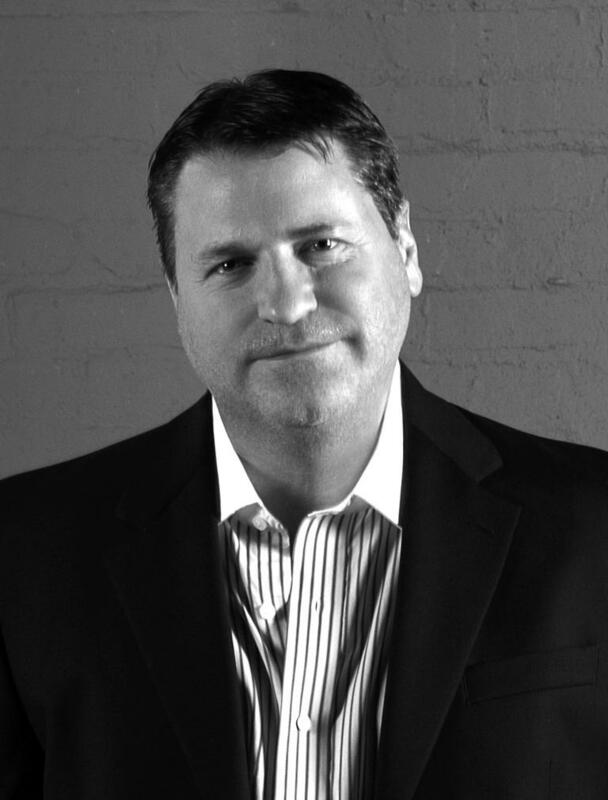 Patrick K. O'Donnell, author of "Dog Company." This segment aired on November 12, 2012.